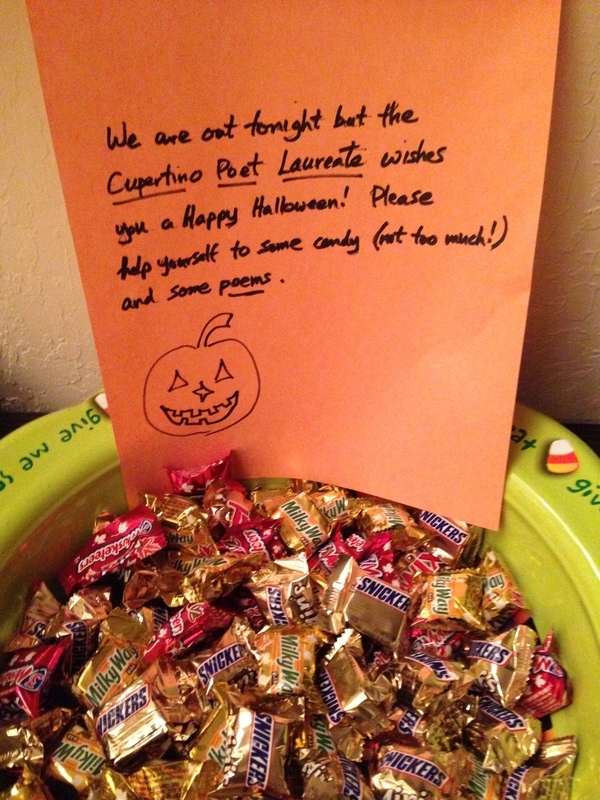 I did leave candy, too, with this note. You can’t just leave poems on Halloween. That’s an invitation for a egg to the front door, if I ever heard of one.